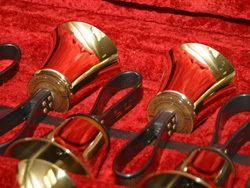 NER is an advanced, auditioned, community handbell ensemble and we are seeking a few high-level ringers. Ring on one of the largest sets of handbells in the eastern U.S.
For more information and details about ringing with this fun group of highly energetic musicians, please contact us here. We look forward to ringing with you! 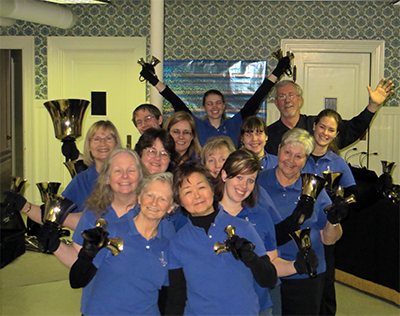 New England Ringers is a fifteen-member community handbell ensemble of highly energetic musicians playing the most advanced level of handbell literature. Offering exciting performances, NER amazes listeners and receives enthusiastic reviews from audience members of all ages. NER performances are a blend of lively and diverse musical moods and styles. Repertoire includes classical transcriptions, familiar favorites, and original compositions. The outstanding music is matched by touches of entertaining humor and the artful visual presentation of the ensemble playing this unique instrument. One of the major goals of the ensemble is to introduce audiences to the incredible music that can be made on this impressive instrument. The group strives to achieve a level of musicianship that is bringing handbells greater recognition and acceptance in the world of musical performance. NER members descend on Tewksbury, MA nearly every week from throughout New England to rehearse. Some ringers (the truly bell-crazy ones) travel more than two hours each way to rehearsals. These marathon rehearsals are powered by plenty of coffee and chocolate, both of which flow freely. Between meetings, ringers rehearse individually and in sectionals throughout the region. Current members come from Massachusetts and Vermont. 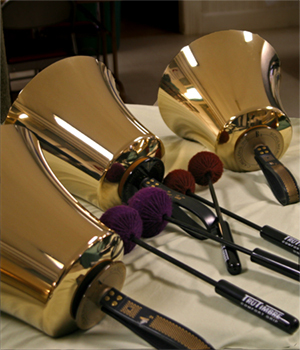 New England Ringers was founded by some of the region’s most talented ringers in 2000 for the purpose of attending and ringing at the National Directors Seminar of the American Guild of English Handbell Ringers in Buffalo, New York. Following that event, the ensemble continued with the mission of performing challenging music at its highest level. Membership is offered to qualified and interested ringers by audition and invitation of the ensemble. 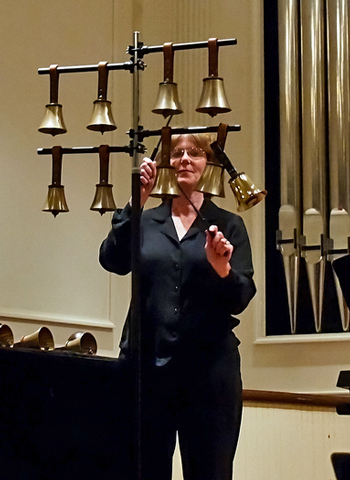 NER rings on a core instrument of six octaves of Schulmerich Handbells and seven octaves of Malmark Choirchimes. The original five-octave set was received as a gift from an anonymous donor in February 2004.